OCEAN CITY, Md. 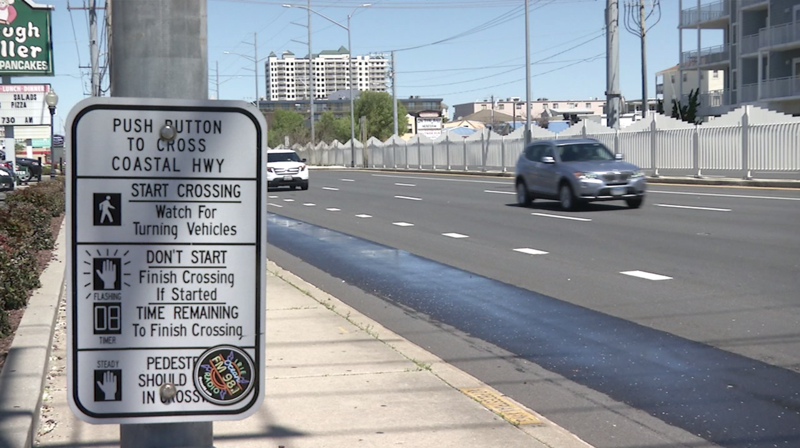 – Last May, Maryland highway officials went to work putting up median fences in some of the most heavily traveled areas in Ocean City, a project that officials believe is paying off. “We have found that the median fence project has been hugely successful,” explains Jay Meredith, a SHA district engineer. It’s been nearly a year since Maryland SHA put up a massive median fence in Ocean City and it seems to be doing exactly what officials were aiming for, improving pedestrian safety. It’s an intentionally high fence so people don’t just hop over wherever they please. It’s an issue local businesses say used to happen all too often. But with the fence up, it’s making it nearly impossible to do that. And while some say they’re aren’t a fan of how it looks, SHA and other businesses say all that matters is that it’s working. Now we’re told that the Town of Ocean City and SHA are so pleased with the project that they’re working together to see if they can expand the fence to other parts of the resort town. In the meantime, SHA is gearing up to begin work on another pedestrian safety project on Route 50. They’re creating a pedestrian hiker biker path on Route 50 for the area entering ocean city. Officials say that project will be taking place during the summer months, but will not affect traffic or the tourism season.